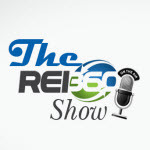 Nick Cuttonaro, CEO of the Link Builders and FlyBoost, comes to the REI 360 studio to break down online marketing in 2015 plus a number of other cool topics. Check it out! Jason and Chris examine how our current reality has become a near seamless blend of life online and offline. Check out the show to see how your business can capitalize and thrive in this ever-changing world! In this video, Chris and Jason discuss DISC personalities and how to work with each type in business.